LED Lighting Power Supplies from Avanti are available in ranges from 6W to 320W and come in many different forms for both indoor and outdoor LED lighting installations. 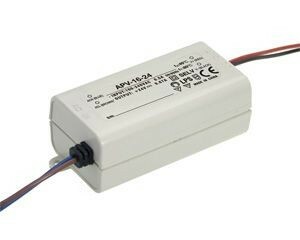 Our Constant Current LED Lighting Power Supply range offers currents from 350mA to 1400mA; whilst the Constant Voltage LED Lighting Power Supply range starts at 5V going through to 52V. Both types of LED lighting power supply offer high efficiencies, PFC, are available with Class II or Class I Input; IP ratings against dust and moisture from IP20 through to IP67 and protection for short circuit, over voltage, overload and over temperature conditions. With additional options such adjustable outputs and PWM, 1-10V, Resistive or triac dimming functions . 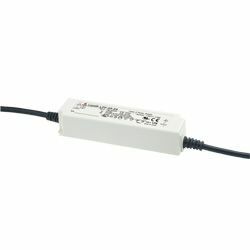 A comprehensive range of IP Rated/Waterproof AC/DC LED lighting power supplies suitable for use in a range of Lighting applications, including Architectural Lighting, Task Lighting, Medical Lighting, Transportation Lighting, Entertainment Lighting, Lit Signage & Moving Signs, Safety & Security Lighting and Outdoor Area Lighting Applications. LED Lighting power supplies, Halogen Lighting Power Supplies & LED Drivers in constant voltage or constant current models and IP64, IP65, IP66 or IP67 rated. Our range of LED lighting power supplies also includes LED drivers, constant current driver, led dimmable power supply, dimmable power supplies and dimmable drivers. Not what you were looking for? Just give us a call.